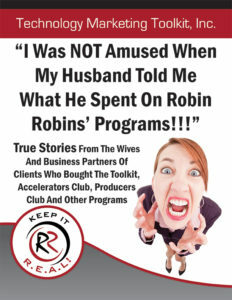 An excellent example of this is a new piece we’ve recently added to all Accelerators Club welcome kits to address a COMMON objection/hurdle we must overcome: the wife of the guy who comes to the seminar, signs up for Accelerators and then has to go home and tell her that he just spent a few thousand dollars on a marketing “seminar.” Often (but not always) the wife is not too happy about it. She may have experience with him buying other “self-help” programs, memberships and marketing only to come up with zeros, so her confidence in marketing and, candidly, her confidence in HIM is low. Therefore, she ONLY sees the money that won’t be going to a new remodeled kitchen, a new car, a vacation, etc. I appreciate their concern. They often don’t know anything about me, much less about marketing. 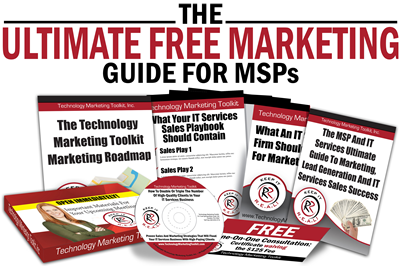 They have no experience with my organization and they haven’t sat through the “pitch” to see what they are getting – and that’s EXACTLY why we need this piece and why YOU need a similar one as well for marketing to your MSP clients. You might not have the wife to concern yourself over, but you might have someone in the C-suite you’ve not met or talked to, a board member, an IT person on staff, etc. These people can and will undermine your efforts to close the deal if not addressed. 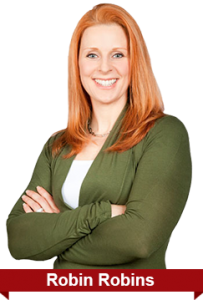 Often you won’t be able to get them in the meeting or involve them in the decision, which is why you need marketing pieces to speak to them – and nothing works better in this situation than a series of testimonials. Admittedly, THIS piece is currently too light, but it was quickly put together mid-Roadshow after I’d seen that objection come up again and again. It will be expanded, which is another lesson – I got it DONE, not perfect. Fumble forward. One letter from a wife would be better than none, yet the lack of material would have stopped a lot of people from implementing something.